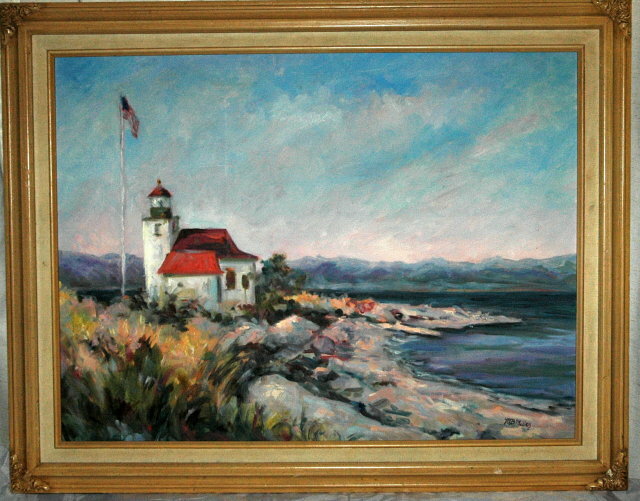 ORIGINAL Lighthouse Oil Painting, signed, MB Miller framed 23"x28"
Signed Oil painting of a Lighthouse rocky shore with mountain in the background. It is well executed. 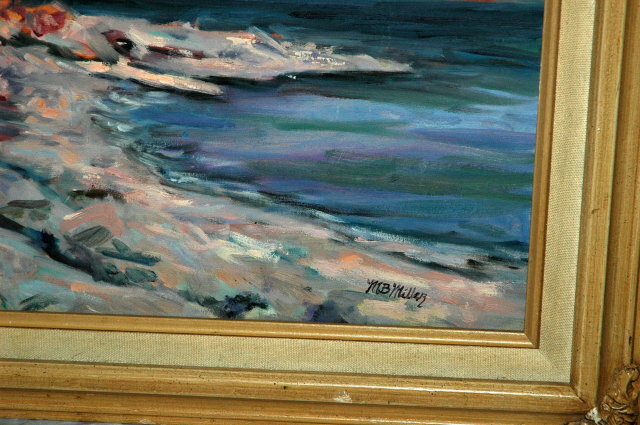 The painting is signed MB Miller, who is a local artist by the name of Maribeth Miller. 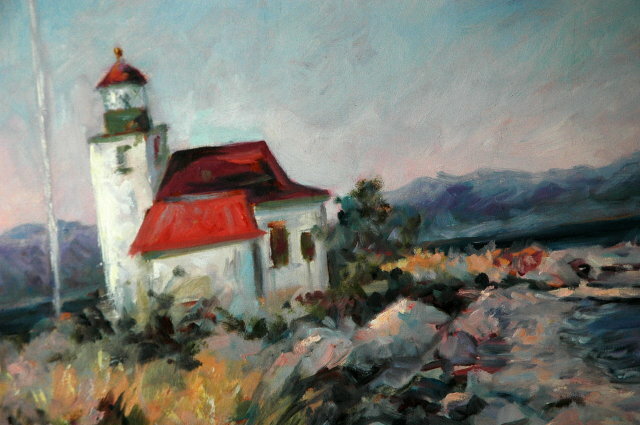 The scene is most likely of the view of the lighthouse from one the points on Puget Sound looking to the west with the Olympic foot hills in the background. The condition is excellent. It on a stretched canvas and from in a pretty wood frame with detailing on each corner. 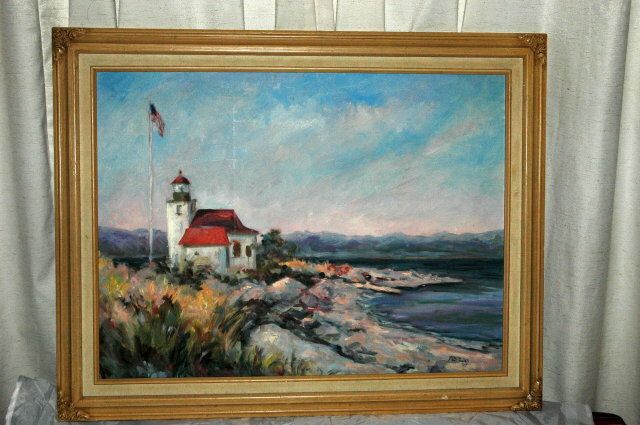 Items Similar To "ORIGINAL Lighthouse Oil Painting, signed, MB Miller framed 23"x2..."
Early Twentieth Century Oil Painting By G. M. Miller, Jr., "Guitar Player"
Late Nineteenth Century English Oil on Canvas Signed Arundate , "On the Beach"